Annual Bunco Tournament, Dessert Buffet and Silent Auction supporting Youth With Vision. Follow our BuncoMania Facebook page for updates! Download our registration form and mail it in: 2018 Registration Form! The date for Youth With Vision’s 25th Annual Mud Volleyball Tournament at Smithville Lake will be held on June 22, 9-4pm! Follow our Mud Mania Facebook page for important updates. Email sherrim@tri-countymhs.org for any questions! CLICK HERE TO REGISTER YOU AND YOUR TEAM! This event will be held at the Heartland Center April 2018. It is the culmination of Youth With Vision’s previous year’s programs and setting of goals for the year ahead. New and prospective members of Youth With Vision are invited to attend. Contact Sherri Miller at 816-965-1018 or sherrim@tri-countymhs.org for more information. 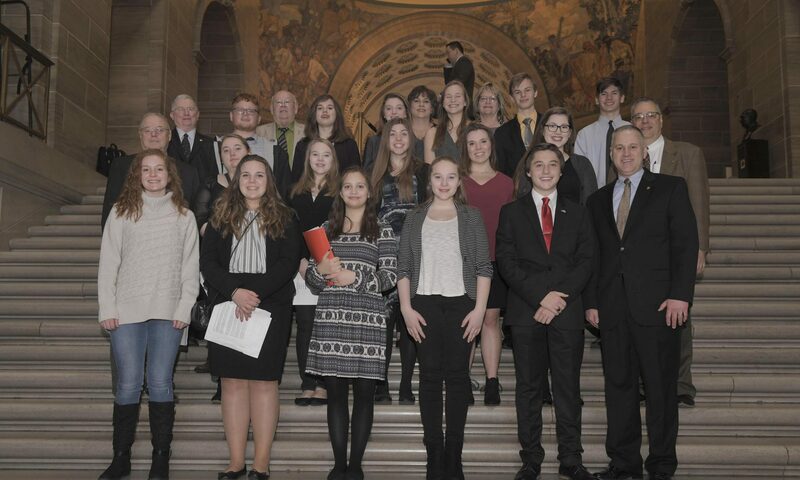 Once annually, Youth With Vision travels to Jefferson City to meet with elected officials from Clay, Platte and Ray counties to discuss topics. Public service announcements are an important part of spreading the word about Youth with Vision efforts.